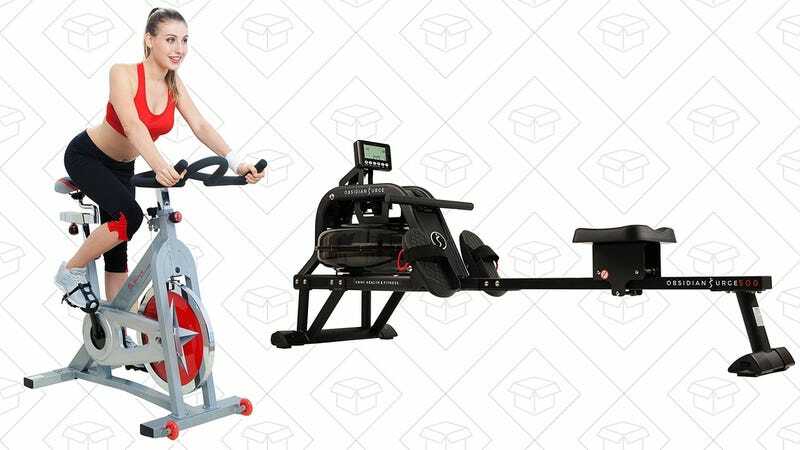 Amazon’s January fitness sales continue unabated today, with great prices on both an exercise bike and a rowing machine. The bike is fairly barebones, utilizing a 40 pound flywheel and manual resistance system, rather than automated programs like you’d see at the gym. That said, it’s only $208 today. The rowing machine is more expensive at $399, but it uses a tank of water for resistance (appropriate, right? ), and includes a screen to track your time, distance, calories, and more. That’s $100 less than usual, and an all-time low.